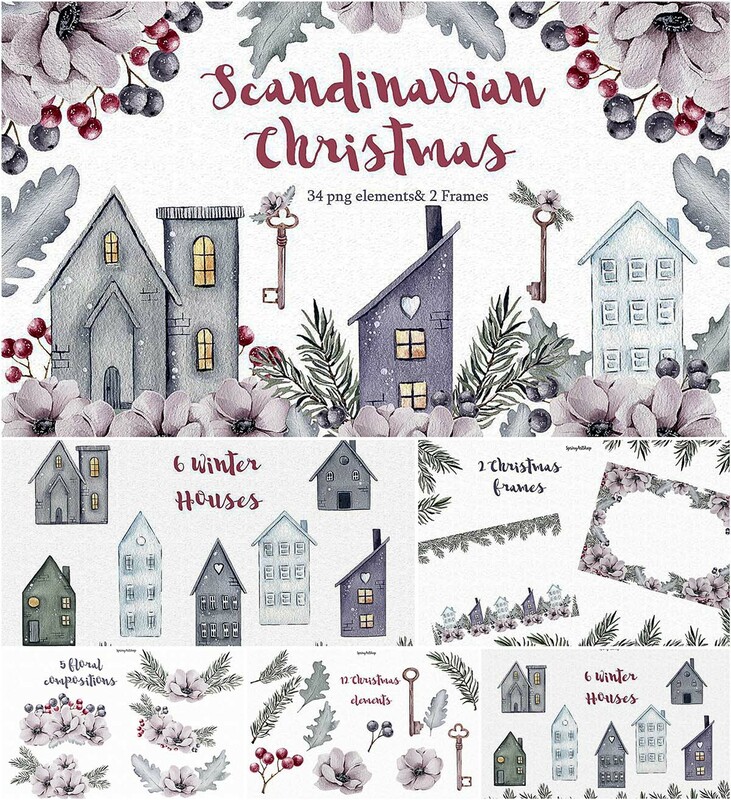 Introducing scandinavian Christmas clipart set which includes white anemone, blue leaves, winter houses and other! Great for cards, winter and New year designs, for everyone who loves flower, decor and Christmas tree! Watercolor clipart set comes with seasonal graphics that have been hand painted with watercolors, digitally scanned into the computer and created into pieces for you to use on your projects. 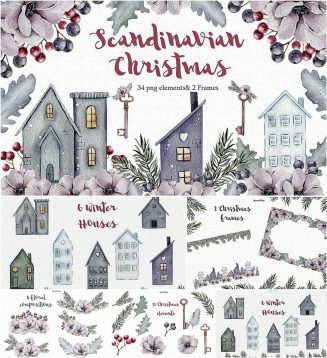 Tags: Anemone, Christmas, clipart, dreamy, floral wreath, flower, frame, house, key, scandinavian, watercolor illustration.